Filling up the Holes | Daddy's Doing Hair?!?!? Over the years since I had my daughters, I’ve often thought about life, death, legacy, what’s really important and deep stuff like that. (Hey…I’m a deep kinda guy. )…but, it would always leave me with a BANGIN’ headache and no answers, so I would kind of just place it on the back burner until another situation came up that would put me in one of my Prince listening, dark room sitting, meaning of life pondering moods. One of those times came when my brother died almost a year ago and it left me with one big question that I’ve been internally debating ever since. It ain’t as simple as one would think. Well, it kinda IS, but there’s a lot of stuff that muddies the subject for us. It took me a LONG time to sort through it, but I think I can bring some clarity. Through it all, I hope that I can help some of you benefit from my ignorance so that you don’t have to go through it. So hang with me, and I’ll try to shed some light on it or, more colorfully, like one of my friends from my Air Force days used to say, “…throw some dirt in that hole”. So in a nutshell, be careful not to fall into the trappings of giving your daughters STUFF. YOUR time is one of the few things that no one else can give her and that can never be replaced. Simply put, once it’s gone, there’s no getting it back. That makes it valuable beyond measure. When I first adopted the girls, we would sometimes go to a coffee shop together just to hang out. I would get some kind of foo foo latte or something, and the girls would get what we affectionately called a “moo- moo steamer” or, plainly put, a steamed milk with flavoring in it. We would sit there and I would read a newspaper and they would pretend to read as they sat across from me. One of my biggest regrets in regards to them, is not doing it more often. I can remember looking across the table at them as they “read” but gosh…it sure would be nice to have a LOT more memories of it, but, as I said…you cant get time back. So, the keys? Share your time, and make good use of the time you share with them. Here are a few ideas that I think would be great to do with your daughters. 1) Leave work sometimes and pick her up from school “just cause”. Go see a cartoon at the movies or maybe just go for a nice long walk and talk about life. 2) Deliver flowers to her school for no reason. 4) TELL her how important she is to you as often as you can. 5) Take her fishing. (I wish I had pictures of when I first took my girls fishing on the pier. It was HIGH-LARRY-US and they absolutely LOVED it. They STILL love to go.) Yes, I DO know how to spell hilarious…but EVERYTHING is better when spelled phonetically. 6) Take funny faced pictures with them. 7) Two words: Pillow Fights. 9) Hold her hand as often as you can. There will be a time when you wont be able to anymore. 10) Listen to her. Even though she may be little…she still wants to know that she’s important enough to get your attention. In my mind, the litmus test is this: “When I’m no longer here…and my girls are describing me to their children….what words will they use?” I think of that…and then act accordingly. BAM! That’s some high quality dirt that I just threw in that hole! Hi Susan! Thank you so much for the encouragement. Yeah, it took me a while to understand what’s REALLY important. It’s so easy to get sidetracked. What a lovely article. It is so true that we, moms too, are often so busy making sure there’s enough money available. You gave some great ideas of ways to be there for children. Hi Beth! Thank you. Yep…I think we ALL do it. The world so often tells us about leaving “wealth” behind for our kids as our legacy, but very seldom tells us about actually making a mark. Great blog. You remind of the way my dad used to treat my sister. My two brothers, and I knew, that there were certain days, reserved for our sister. He did many of the things you have mentioned, with the exception of fishing, and pillow fights. He was a great role model to us boys. He wanted us to treat our future wives, and daughters, the way he treated our mom. Rough on a woman who expects her future husband to have had a similar role model. Your daughters are blessed, and so are you! Blessings. Wow. Thank you! You touched on something that I will be writing about soon. I believe, as crazy as it may be, that if you change what girls (that will eventually become women) accept, that you eventually change the way boys (who will eventually become men) will behave. Daddy I love you!!! This was a great one!! Took me way back! My mom is bipolar, so she wasn’t always there for me when I was a kid. Only now as an adult have I been able to realize that my dad was the one who was there for me in the little ways like going out and cutting down a Christmas tree or dying Easter eggs. Such actions mean a lot and are never forgotten. Thanks for sharing. 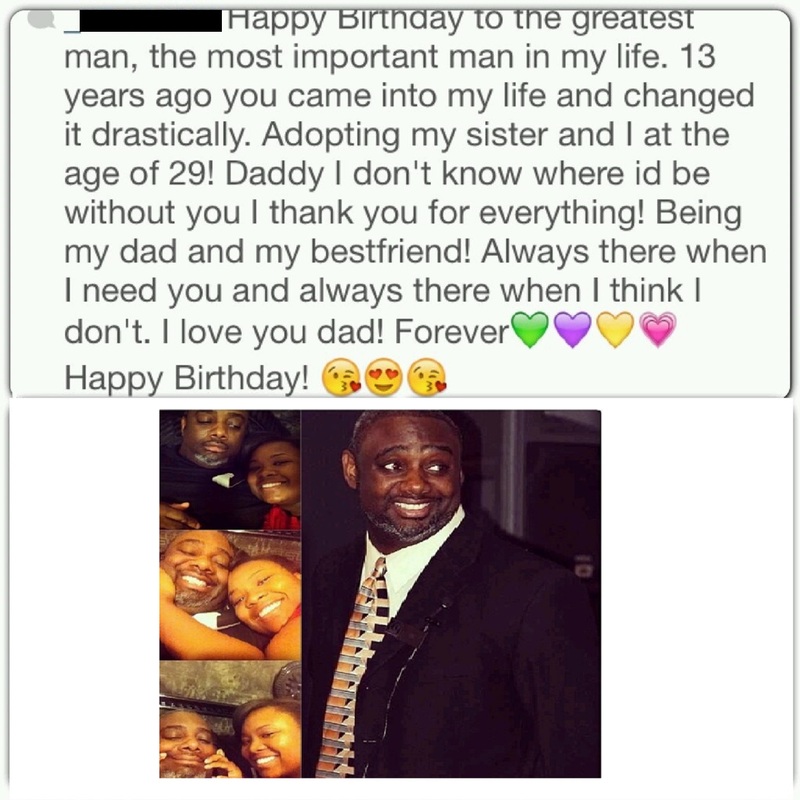 Youre living proof that the impact that a father can have on his daughter’s life should never be taken for granted. Beautiful. That was definitely some high quality dirt! I’m a daughter of a wonderful dad, and I have two daughters of my own, but there’s nothing like the daddy-daughter bond. Your daughters are blessed. Thanks for the kind words. But in all honesty, I’M the one that’s blessed. My daughters are pretty cool. Love this–and it’s true for dads and daughters, moms and sons, dads and sons, moms and daughters, but there really is something special about a girl’s relationship with her dad. My dad has always been a calm, stable presence in my life, and I wouldn’t trade him for the world! I agree…there’s just something special about a Father’s bond with his daughter. My wife would say that my daughters have me wrapped around their fingers….and you know what? I’m inclined to agree. Thanks for reading!